and breakfast is on us! Nestled on South Padre Island’s southern tip, the Pearl South Padre hotel is a premier oceanfront resort for families, business travelers, couples, and sun seekers who want to experience tranquil views and the soft, sandy beaches of South Texas. Warm rays of sunshine and tropical breezes await your arrival. From the moment you arrive, you'll know why the Pearl South Padre hotel is South Texas' best beachfront resort destination. Stay three nights or more and receive free breakfast for two adults daily including free breakfast for kids 12 and under. Featuring an island-inspired style with contemporary décor and modern amenities our accommodations are designed for the ultimate in relaxation. Each room, suite, or condo includes a private balcony/patio with great views, free WiFi, refrigerator (full kitchen in the suites and condos), 37-inch flat screen TV, and workspace with ergonomic chair. Located just a few blocks from Pearl South Padre Resort, Breakaway Cruises has been offering excitement and adventure for over 20 years. Stay with us and enjoy guaranteed best pricing plus 10% off any Breakaway Cruises experience. Open year round! Charter a deep sea fishing adventure and reel in a big catch during your water sport adventure. Soar high up above the beautiful Golf Of Mexico and enjoy SPI's top adventure experience on the water. Andy Hancock shows how to build stunning castles and creatures. Exclusive free lessons for Pearl South Padre guests. Shred the seas on a jet ski! Wave runners are a staple high-octane adventure activity in South Padre. Get Up Close With Dolphins! Take a journey on the water to visit the ocean's most fascinating and playful creatures. Great for all ages! 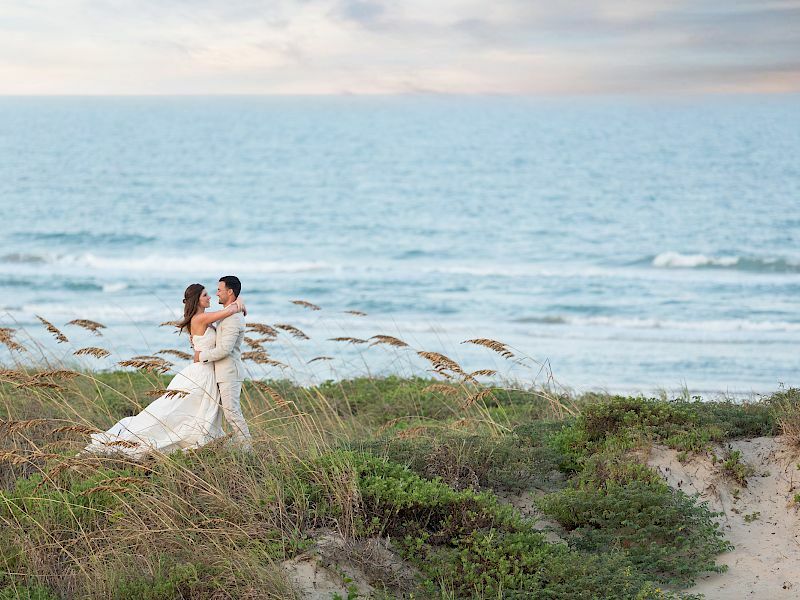 Walk down the aisle immersed in the scenic beauty of the beach at South Padre Island. Take your vows on the beach and celebrate in our grand ballroom.